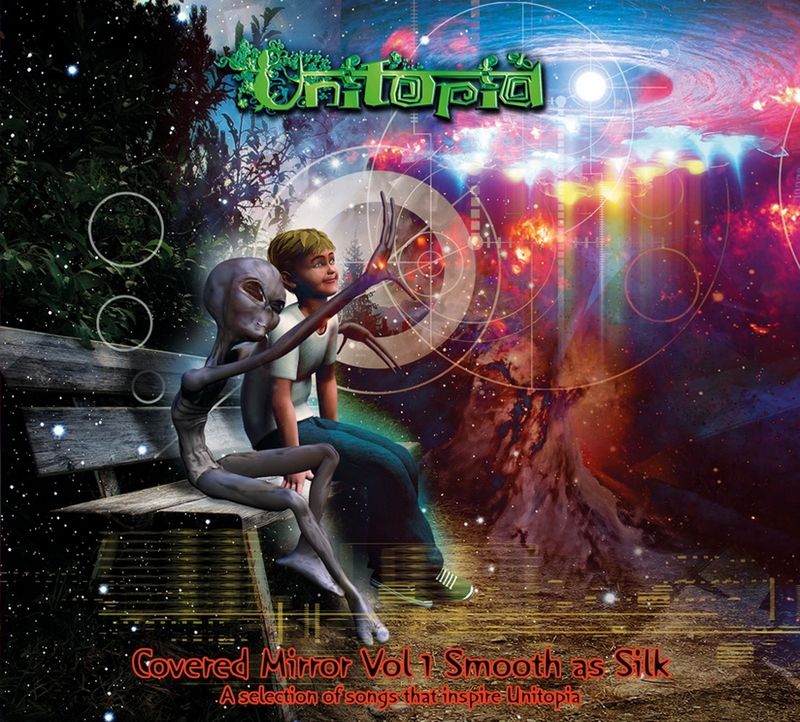 Sept. 27, 2012 – Australia – Much to the excitement of progressive rock fans around the globe, legendary Australian prog ensemble Unitopia is releasing a new CD of cover songs titled ‘Covered Mirror’ on October 31, 2012. The most well-known and respected progressive rock band to emerge from Down Under, Unitopia is back with a ground breaking, powerful new release! Based in Adelaide, South Australia, Unitopia endeavours to draw from the heart and soul of the listener thought provoking topics such as environmental awareness, political and social upheaval and the hectic pace of life and human relationships in a positive and uplifting light. Using progressive themes as a framework, Unitopia’s music includes elements of world, classical, jazz, heavy rock and groove. Mark Trueack (composer/lead vocals/producer), Sean Timms (composer/keyboards/backing vocals/producer) and Matt Williams (guitars/backing vocals/producer) form the nucleus of the band. To complete the line-up, they chose the combined drum/percussion batteries of David Hopgood and Tim Irrgang, Craig Kelly on bass and Daniel Burgess (sax/clarinet/flute/piccolo/didgeridoo).